For the past several weeks, there has been a noticeable rotation that we have been watching. In fact, we spoke about this several times in recent episodes of the TDI Podcast. Looking back, the move has been a foreshadowing of what troubles would lie ahead for the equity markets. The rotation from the go-go growth to the more defensive sectors has been one that can be clearly seen over the past 12-weeks. 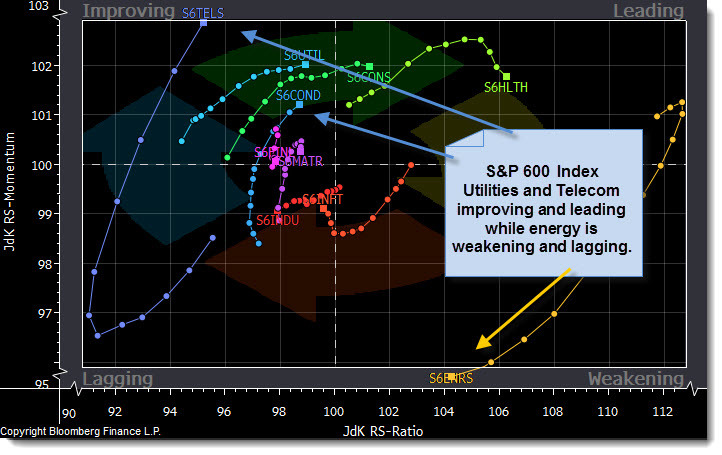 Below is a chart that provides a time-lapsed look into the weakening and lagging sectors as well as the improving and weakening ones. If the direction of the trend points up and to the right (above the center line) then the sector is showing leadership. If, on the other hand, there is a move down and left, then that is a sign of weakness and a sector that is lagging. First, within the S&P 500 index (a good measure of large-cap stocks) leadership has been growing with the defensive sectors such as healthcare, utilities and consumer staples. The S&P 600, a measure of the small-cap names withing the S&P 1500, has a slightly different look. The main difference is that the Telcom sector has been on a direct trajectory north. This is due to the recent activity and ongoing speculation that there will be a host of takeovers and mergers that may occur. Both indices are clearly presenting evidence that the risk trade within the energy sector is being shunned. 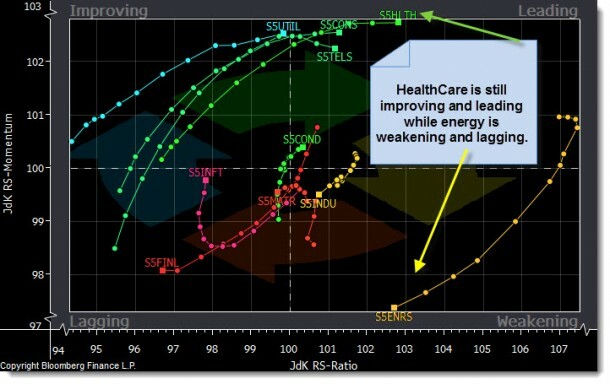 It is of note that it would seem that the small-cap healthcare should be a sector that is following the telecom as there is an opportunity for many of the larger healthcare names to buy up smaller outfit as they are in need of replacing revenue from patent expiration. So far, that has not been something occurring frequently. What we can learn from this is that the movement between sectors can be a way to step back and look at the big picture of where money is being put to work and where it is not. If we see a rotation out of the growth names and into value, that could be a sign that investors are looking for safety. 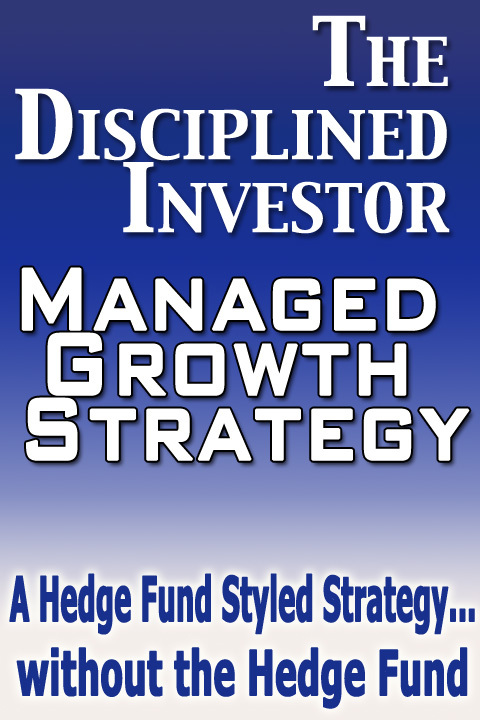 In addition, it can also mean that there is simply a reversion-to-the-mean strategy at work, looking to invest in the undervalued sectors at any given time. Watch to see if there is any further leadership for the defensive sector that may be providing a tell for the future direction of markets. We will update these charts if any pertinent changes occur.